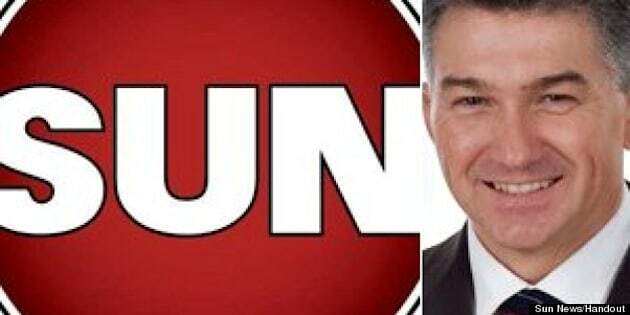 OTTAWA - Conservative-held ridings are being hit the hardest by the Sun Media chain's decision to shutter eight community newspapers across the country — including a pair founded more than century ago. The syndicated content published in the English-language papers, especially columns, tended to be more favourable to the Conservative government and right-of-centre policies. Six of the eight community newspapers that have closed or will close shortly are in Conservative electoral districts. But Tory MPs who represent the affected areas say they don't see a role for government to intervene in what they consider a market situation. Manitoba MP James Bezan's riding, as it will be reconfigured for the 2015 election, includes two of the affected newspapers — the Beausejour Review and the Lac du Bonnet Leader. He said the Sun Media papers faced competition from private papers in a number of communities, and ultimately lost the revenue battle. "They were using a lot of fed ink from other areas of the province or from the Sun news chain, versus the other papers that had content that was very much written by their local reporters and freelancers, and covered what's happening in all the local communities, so it had a stronger community focus to it," Bezan said. While the centralized content might have leaned Conservative, the local coverage was much more neutral, he added. Ontario MP Bruce Stanton echoed those sentiments. The 134-year-old Midland Free Press was once an important institution, and used to publish daily, said Stanton, adding he felt the local coverage was balanced. Ultimately, though, it couldn't compete with a relatively new competitor. "I would say that it certainly did enjoy a good reputation in the past, but that had been diminishing," he said. In Saskatchewan, the Meadow Lake Progress in the northern part of the province is closing after 82 years. "Just losing one source of media really hurts a community, especially when they're depending just on local media," said MP Rob Clarke. "I look at the national press, they cover the national issues and regional issues, but they never really talk about what's taking place in small-town Saskatchewan." Bezan, Stanton and Clarke, meanwhile, all have concerns about certain parts of their ridings that aren't served by any publication. In one particular area around Manitoba's Highway 6, people rely on newsletters at the local coffee shop because there are no papers, Bezan said. Some First Nations reserves in northern Saskatchewan produce their own pamphlets, said Clarke. The MPs will also be losing a tool for connecting with constituents, both through advertising and through news content. "Some of the issues brought forward are from myself, where I am able to inform my constituents about what's taking place...in the House of Commons and as a government," Clarke said. The federal government spends $15 million annually on the Canada Periodical Fund, which helps non-daily Canadian newspapers. The Meadow Lake Progress received $20,804 in 2012-13. Liberal Sen. Joan Fraser, the former editor-in-chief of the Montreal Gazette and chair of a review of the news media nearly a decade ago, described the loss of local news outlets as a serious public policy issue. "Local coverage is the basis of all news and when local coverage goes, everybody suffers," Fraser said. "The local community is no longer as aware of what's going on, and that feeds right up the chain. How many stories do we see that begin in some local paper somewhere, and make it up to the national news little by little?" Fraser said it's time for the House of Commons to review the state of Canadian newspapers, and take steps to address the situation. "I'm of the real old school. I think there is room for community papers that cover their communities, and make a profit doing it, but they may not make as much profit as the markets and the proprietors now demand." NDP heritage critic Pierre Nantel said part of the solution might be to revive the discussion in Parliament about the digital economy and media, and see how it can help protect Canadian content when traditional outlets close down. That would entail a study of broadband Internet access in rural areas of Canada. The other community newspapers slated for closure by Sun Media are the 152-year-old Lindsay Daily Post in Ontario and Quebec's Le Magazine Saint-Lambert, L'Action Regionale and Le Progres de Bellechasse. It is also eliminating the free daily newspaper 24 Hours in Ottawa, Calgary and Edmonton. Sun Media Corp. is a subsidiary of publishing giant Quebecor Media Inc.
"The management decisions we are making are difficult and highly regrettable, particularly the job cuts," Julie Tremblay, chief operating officer at Sun Media Corp., said in a release Tuesday. "However, the downsizing is necessary to maintain a strong positioning for our news media outlets on all platforms, and more broadly to secure our corporation's future success in an industry that is being revolutionized by the advent of digital." Last year, Sun Media closed other august newspapers in Ontario, including the Dunnville Chronicle, the Leamington Post, and the West Niagara News.